If you’ve ever dabbled in a foreign language, like Spanish, French or, of course, Italian, then you probably know the word “la” generally means the in many languages. Ferrari is an Italian automotive company, and thus the nameplate “LaFerrari” literally means… The Ferrari. That might sound silly, but it’s a fitting name, because the LaFerrari was and still is the definitive Ferrari vehicle. 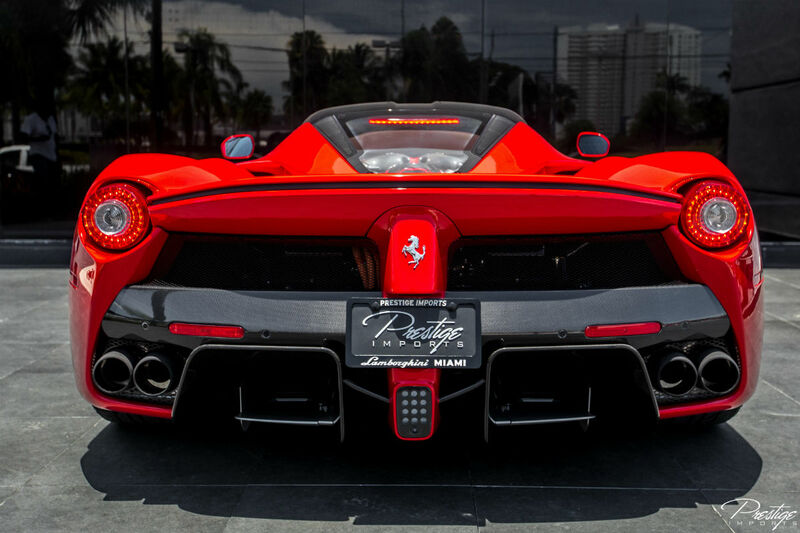 A limited-production hybrid sports car, the LaFerrari began production in 2013 and it has continued through last year. 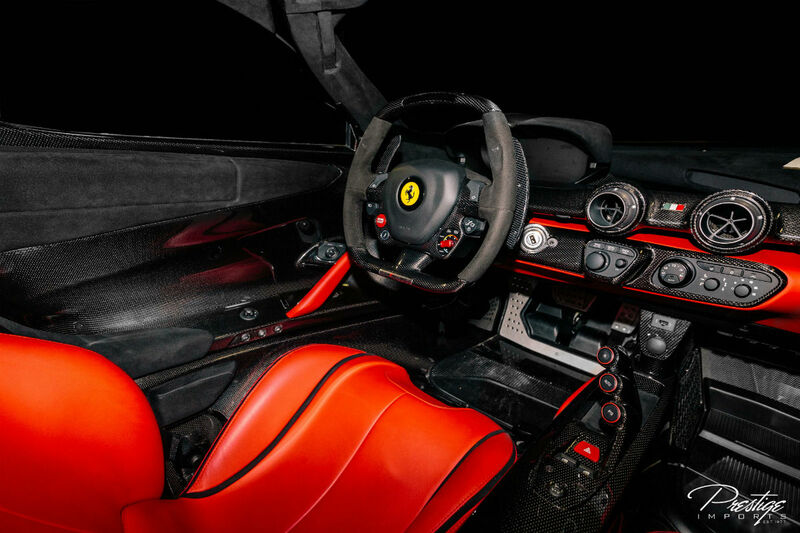 Currently, we have a 2014 Ferrari LaFerrari Coupe for sale right here at Prestige Imports in Miami FL, and you are not going to want to miss it. This stunning vehicle not only provides one of the most incredibly-designed exteriors we’ve ever seen, but its fair share of impressive specs & features as well. We know what you really want to know about is power, but we’ll start with efficiency since this is a hybrid vehicle after all. Powered by a 6.3L V12 engine, this LaFerrari achieves 16 miles per gallon on the highway and 12 mpg through city streets. If you’ve been reading about a vehicle like the Prius, that might not sound very impressive. But the hybrid technology built into the LaFerrari has decreased fuel consumption by roughly 40%. Yet even still, this mild hybrid sports car delivers incredible performance. Combining the output of the V12 with its supplemental hybrid powertrain, the LaFerrari is capable of doling out 950 bhp. That kind of power translates into some pretty incredible numbers. It has a top speed exceeding 217 miles per hour, can hit 62 miles per hour in 2.4 seconds, 124 mph in less than 7 seconds and 186 mpg in just 15 seconds. If you’re interested in this incredible vehicle be sure to get in contact with us. It doesn’t have a listed price, so be sure to give us a call or stop in if you’re looking to inquire about the 2014 Ferrari LaFerrari Coupe.. This entry was posted on Wednesday, September 27th, 2017 at 8:56 pm	and is filed under Ferrari. You can follow any responses to this entry through the RSS 2.0 feed. You can skip to the end and leave a response. Pinging is currently not allowed.